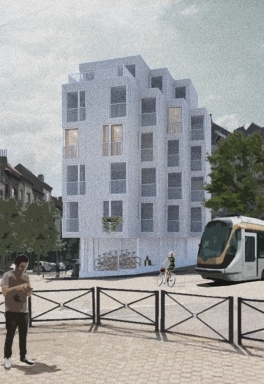 The plot of the project is located in the historic heart of Schaerbeek. Near Place Pogge which shelters under the foliage of its plane tree a life of animated district. To work a corner building is to give a thickness to a point. It's managing two facades that converge. 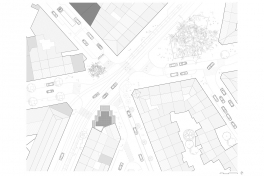 The solution we propose is to enhance the facade overlooking the crossroads by creating a symmetrical building focused on the bisector of the angle. This is a coherent attitude compared to the many examples of corner buildings already in the municipality of Schaerbeek where it is not uncommon to see the bent span topped dormers, turrets, pinnacles. Thus creating an event in the facade alignments supporting the transition between two universes that is the essence of a corner building. By adopting this party, we open the entire façade that has the least direct vis-à-vis. The view is allowed to run off from the building to the north. 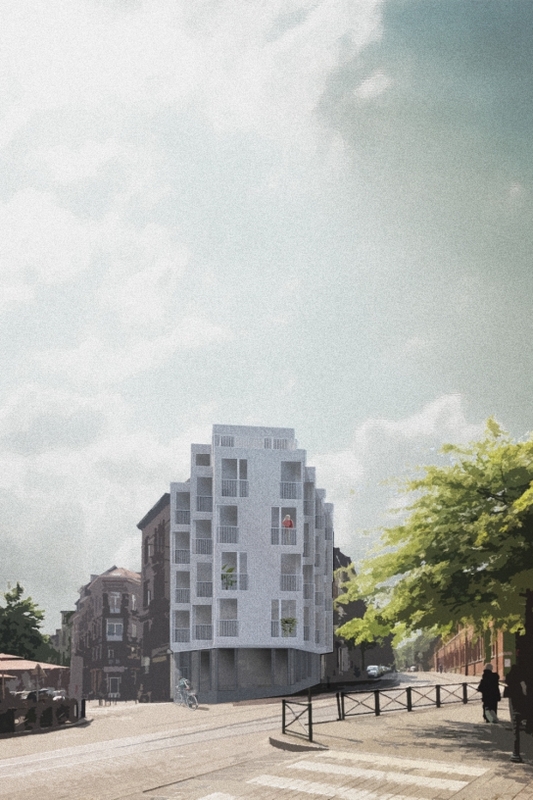 We avoid confrontation and play with geometry by sculpting the building with a composition in redans and offsets. Above all, it rises above the urban space. Clearing a base in connection with the immediate environment. The ground floor is massive in the lower part, placed on a broad concrete base. 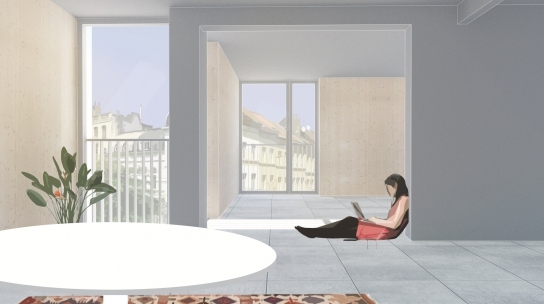 Between the housing and the bedrock, a wide open steel mesh lets you look into the bicycle room.